Paljor Norbu/File photoDharamsala, April 17: Paljor Norbu, an 81-year old Tibetan printer and publisher, who is currently in Chinese custody in Tibet, has been selected as the 2009 recipient of the Jeri Laber International Freedom to Publish Award. Paljor Norbu, who is currently in custody in Tibet, is being recognized for his commitment to Tibetan culture and publishing in the face of great political obstacles and personal peril over the past half century, the International Freedom to Publish Committee (IFTPC) of the Association of American Publishers (AAP) announced Thursday. The annual award for Paljor Norbu will be officially presented on April 28 at the PEN Annual Gala at the American Museum of Natural History in New York City. On 31 October last year, six months after major anti-Chinese unrest in the Tibetan capital, Paljor Norbu, a descendant of a family with a long history of printing and publishing Buddhist texts for monasteries, was taken by the police from his home in Lhasa for the fourth time in his long career. He was arrested for allegedly printing “prohibited material,” including the banned Tibetan National flag. Paljor was later tried in secret in November and was sentenced to seven years in prison. His current whereabouts are unknown to his family and friends. “China’s implacable efforts to subjugate a country, constrain a culture, and subvert freedom of expression are vividly illustrated by the prosecution of Paljor Norbu, who has for seven decades dedicated himself to the preservation of Tibetan culture through his work as a master printer,” said Hal Fessenden, chair of the IFTPC, in announcing the award. The International Freedom to Publish Award recognizes a book publisher outside the United States that has demonstrated courage and fortitude in the face of political persecution and restrictions on freedom of expression. The award is named in honor of Jeri Laber, one of the founding members of the IFTPC and the committee’s professional adviser for the past twenty-five years. 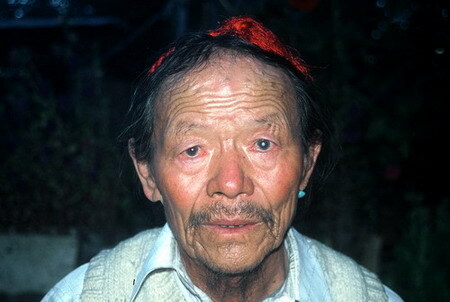 Paljor Norbu is an eighty-one-year-old Tibetan printer and publisher from Lhasa. 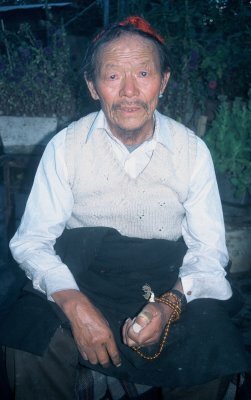 Although not a writer himself, he has played a crucial role in the preservation of traditional Tibetan publishing techniques and popular religious writings. A descendant of a family with a long history of printing and publishing Buddhist texts for monasteries, Paljor Norbu is renowned as a master printer, widely respected in Lhasa. He uses traditional woodblock printing techniques in his workshop, which employs several dozen workers. In addition to religious texts, the shop prints books, prayer flags, paper rolls for prayer wheels, traditional almanacs, ritual texts, and other items. One of a tiny group of specialist traditional printers, Paljor Norbu was born in Mongka kyang, in Nyemo Valley, a village southwest of Lhasa, and became an apprentice printer at age eleven. As an adult, in addition to his regular work as a printer in Lhasa for the Tibetan government, he worked with several prominent monasteries to print texts from wooden blocks, and supervised the printing of one set of the 224 volumes of the famous Narthang Tengyur, one of the main editions of the commentaries on the Buddhist canon. He was thirty-one years old in 1959 when a major uprising against Chinese rule occurred. As a secretary of the printers’ guild working under the Tibetan government’s supervision, he was considered a “rebellious person” and put in jail for some period of time. In the sixties and seventies, the Cultural Revolution brought an assault on all traditional and cultural emblems of Tibetan civilization, including religious artifacts and religious texts. Woodblocks were burned, and the printing of anything other than strictly political texts was forbidden. In spite of this, wood-carvers secretly carved and hid a number of blocks. After Mao’s death, in 1976, Paljor Norbu was able to resume his work. In 1987 the situation in Tibet again deteriorated after a number of demonstrations by Tibetans in Lhasa against Chinese rule. Paljor Norbu was detained twice in the early 1990s on suspicion of supporting the protests or producing illicit literature, but he was released without charge each time. On October 31, 2008, six months after major anti-Chinese unrest in the Tibetan capital, Paljor Norbu was taken by the police from his home in Lhasa for the fourth time. The arrest took place in the middle of the night, and his family was not told where he was being taken. His shop was closed and his employees were told not to return. Since his detention, the Chinese authorities have not informed his relatives where he is being held, when he was tried, or what charges were levied against him. He is believed to have been accused of printing “prohibited materials,” probably referring to prayers for the Dalai Lama or copies of the Tibetan national flag, which are banned in China. He was tried in secret in November and according to unofficial reports from Lhasa was sentenced to seven years in prison. No information about his health or whereabouts have been provided by the authorities, and his condition since arrest is unknown. The details of the charges and the verdict have not been made public, but the nature of the initial accusations and the length of the sentence suggest that he was tried on charges of “inciting separatism” (Article 103 of the Criminal Law). This vaguely defined crime has been used repeatedly to silence Tibetans resisting the tight and often arbitrary limits imposed on their freedom of expression by Chinese law. Paljor Norbu’s family has a long history of experiencing such limits: two of his children have already served three years in jail each for nonviolent actions considered to be political and criminal by the state, one for teaching children a forbidden song in 1989, and the other for helping the Karmapa, a high lama, to escape to India in 1999.